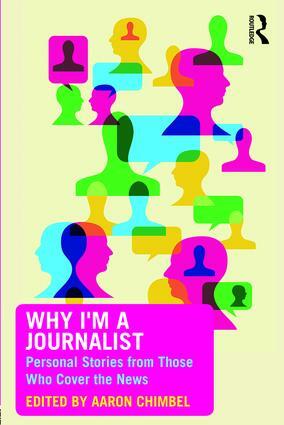 Aaron Chimbel is editor of "Why I'm a Journalist: Personal Stories from Those Who Cover the News" published by Routledge/Taylor & Francis in 2017. The book includes essays from 40 journalists from a wide-range of backgrounds and is available here. 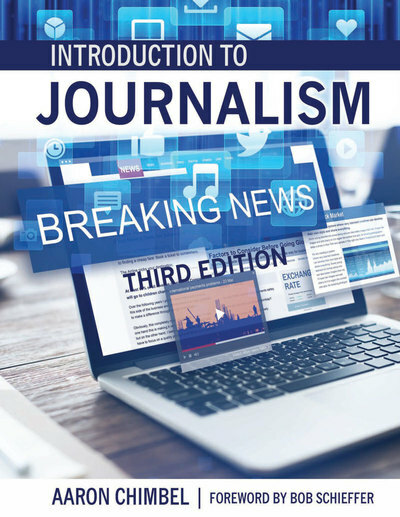 Dr. ​Charles Davis, the dean of the Grady College of Journalism and Mass Communication at the University of Georgia, said this about the book: "In an age of journalism demonization, this book is a tonic, a rich source of pride in the profession by some of America’s finest newsgatherers. It’s a book brimming with practical advice for journalism students and would-be reporters, but it’s also a wonderful reminder to those of us longer in the tooth that what we do, and what we train others to do, matters a great deal." Chimbel is also the author of "Introduction to Journalism," now in its third edition, published by Kendall-Hunt. The book provides an overview of the fast-changing industry. It's available for purchase and course adoption here.